Happy New Year! Are you interested in combining your love for charitable giving with your love for dominating pub trivia? If so, please join The Second Step for Trivia Night on January 21st from 7-9 pm at Temple Emanuel in Newton. It’s a great way to beat the winter blues, hang out with friends, and see how much arcane knowledge you have! Sign up here. We already have over 100 people signed up for this awesome event. When you sign up, please indicate who you’d like to be placed on a team with (up to 6 people per team). Spouses welcome! Grab your friends, co-workers, family and neighbors (max 6 people/team) and see how much you really know! Why: It’s going to be fun! We promise. Food? Drinks? Yes, of course! There will be snacks and beer, wine and soft drinks. Don’t have a team? Don’t worry – we’ll put our matchmaking skills to good use. How do you sign up? 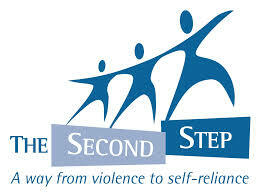 Visit www.TheSecondStep.org – it’s that easy! *Sponsors will be listed by sponsorship level on our website and recognized at the event.